It gives your site visitor something more to reader. As long as your anchor text (the words that form the clickable link) are relevant and compelling, visitors will want to click the link to read more. Why do you want this? Because it will improve your bounce rate. A good bounce rate is important in your site analytics because it is an indication of how long each visitor stays on your site. The longer they stay, the better, because it signals that they are reading something they deem worthy of their attention. In today’s busy world and saturated online marketplace, that’s no small feat. 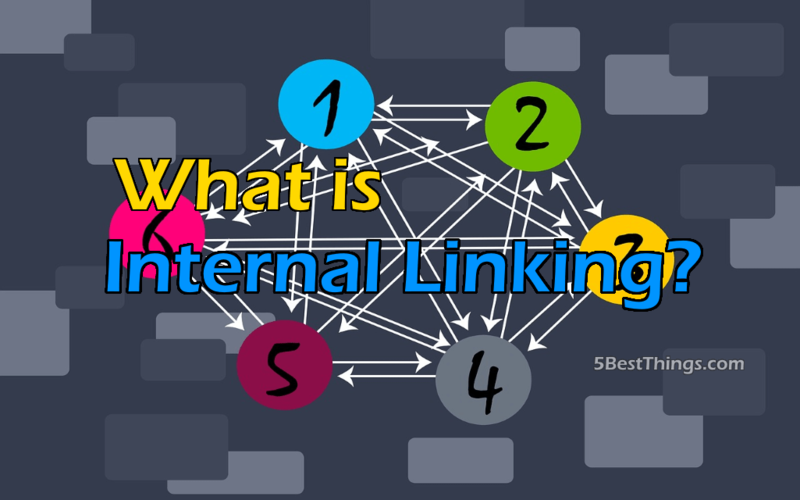 Internal linking also helps to improve your ranking for certain keywords on your site. For example, if you are writing an article about the best pets for families, the term “best pets for families” should be linked to from other articles with similar anchor text. This signals Google that the article (or post) is relevant to people who are searching for “best pets for families.” (Side note: It’s a good idea to vary your anchor text links that point to the same page to add variety and to prevent Google from deeming the use of too many identical anchor texts suspicious. Finally, internal linking helps Google out when it attempts to crawl your site. When Google sends out its bots to look for new information on your website, it will deem your content to be more trustworthy and of superior quality if it can easily crawl through your internal links. All of this leads to the concept of authority. When it comes to creating a successful website, it’s important to create for yourself some authority. An authoritative website is one that is trusted not only by its direct users, but also by its niche in general, other websites in its industry, and by the search engines. Backlinks from other trusted sites will go a long way toward boosting your site’s authority, because that link is basically the digital equivalent of an endorsement. It’s that website’s say of saying, “Hey! Check out this other website in our niche. They’re pretty awesome, too!” Those links, coupled with your excellent content, will help to create some awesome authority for your website. Internal linking, then, is very important to the success of your site and its visibility in the search engines. Done well, internal linking will help guide users around your site, leading them from page to page, “forcing” them to stay on your site longer. As mentioned, that will bring about more authority to your site and, as a result, more traffic. And that’s the end game when it comes to create a website: to get more traffic who will, hopefully buy what you are selling. Companies like Bluehat Marketing can help you with this.